Fri., Nov. 9, 2018, 8:57 a.m.
A GRIP ON SPORTS • Real estate is all about the three L-words. You know them. One is location. So are the other two. So why did folks vote to recommend locating a local high school football facility in one of the most out-of-the-way parts of town? Read on. • Trying to answer a question about voter intent is way above my pay grade. I leave that to folks like Nate Silver and Chuck Todd. But I do know a thing or two about Spokane elections. The status quo wins quite often around here, whether that means incumbents, financial expenditures or, in the most recent case, a football facility. Change is slow in coming, which is fine. The cautious way is often the best way. It’s time for a bold move. It’s time for the school board, which didn’t put the whole question about the football facility's location on the ballot in the first place, to say thanks but no thanks – just as it should have said when the Spokane City Council, afraid of upsetting its vocal supporters, decided to punt on the issue. After rejecting the idea of asking voters to pay for a new parking garage to support a high school football facility downtown, the Council washed its hands of the whole issue in August and put an advisory measure on the facility's location on Tuesday's ballot. Except it turned out no parking garage is needed. Oh sure, when the Council and the school board were fumbling with the issue, the smart folks supporting the facility thought one may have been necessary. But a parking study and agreements with local property owners lessened parking needs as an issue. Too late. The advisory measure was already on last Tuesday’s ballot and the idea of another garage was attached like gum on the underside of a stadium seat. In this town, with its history, asking the voters to approve anything with a garage connected to it is like trying to swim from Peaceful Valley to Upriver Dam. Towing a Subaru. It can’t be done. I’m not sure enough voters knew the proposals were revenue neutral, that a downtown facility and an Albi replacement would be about the same cost – unless when the district tries to tear down the old place it runs into unforeseen issues, like its built so well it won’t give up without a fight. Could be, considering the era it went up. And the benefits of replacing the old stadium with a more modern facility near the Arena are hard to ignore. Any day the City can add to the stock of youth and adult recreational facilities in this town is a good day. Freeing up the Albi site would allow for that down the road. Putting a new football facility there will preclude that possibility. And yet the issue went the other way. Prep writer Dave Nichols has his thoughts on the matter in today’s paper. He feels the school district needs to ignore the advisory vote and move forward near the Arena. He’s right. Democracy is a good thing, but when the most important aspect of an issue changes after it is put on the ballot, it makes the whole process suspect. Honestly, the stadium-site issue should have never been on the ballot in the first place. Councilwoman Kate Burke opposed adding it to the ballot then because the issue was “lacking definitive answers.” She was right. The Council should have just passed the location issue back to the school board last summer after it deleted references to the project from its library bond – which passed by the way. The voters in the Spokane School District approved the money for the football facility as part of the $495.3 million bond issue they approved Tuesday. The $31 million needed to build a new facility will be spent. Where is the only question. There are so many more positives attached to putting the facility near the Arena, "where" shouldn’t have been a question in the first place. WSU: You enjoy watching Max Borghi run the football? Then you will enjoy Theo Lawson’s in-depth feature about him today. It’s well worth your time. … I also wrote a bit about Borghi in a notebook for The Athletic. … When the Cougars play their NCAA soccer tournament match tonight, they will be missing one of their key players. Ryan Collingwood has that story. … The volleyball team won again on the road, this time at UCLA. … The Times’ Scott Hansen looks at Darrien Molton’s career as it winds down and Saturday afternoon’s game in Colorado. Elsewhere in the Pac-12, there is another notebook and more picks to pass along. … Though Washington has its bye this week, we have an interesting feature to pass along. … Not only will Oregon miss Utah’s starting quarterback, it looks as if the Ducks won’t have to face the Utes’ best running back either. Neither will any schools left on Utah’s schedule. … Stanford will host Oregon State this weekend. … Can California find a way to get past USC this Saturday? It’s been a long time since that’s happened. … UCLA heads to Arizona State where it will see the best receiver its seen all season. … In basketball, Washington faces No. 11 Auburn tonight. Gonzaga: You may recall Texas Southern has played Gonzaga before. In college basketball circles, Texas Southern has long been considered America’s guest. But with Mike Davis gone, new coach Johnny Jones is playing fewer road games. However, as Jim Meehan’s story explains, his team has actually posted an upset win, over Baylor. 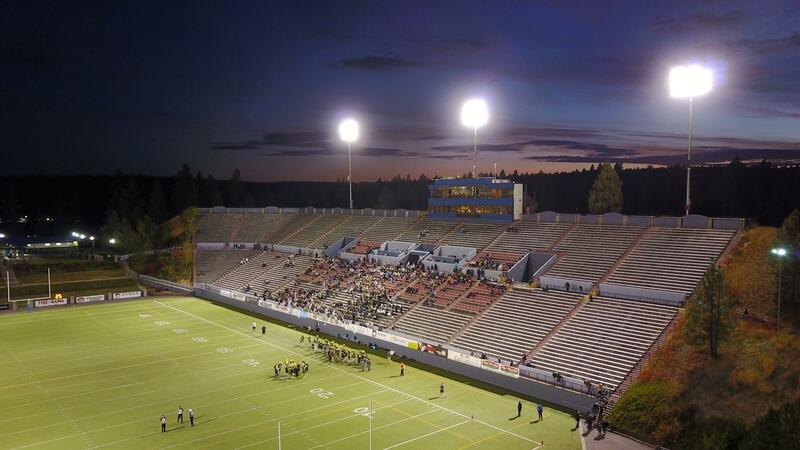 EWU: Eastern is trying again to drum up support for improvements to Roos Field. Ryan Collingwood has this story outlining the new plan and the steps that have already been taken. … Playing on the red turf excites the UC Davis players. The cold temperatures? Not so much. … The Eagle basketball team is at Oregon tonight. … Around the Big Sky, the Weber State rivalry with Southern Utah has really heated up. … Idaho State is in the think of the conference race but is also looking toward the future. … Montana State faces Northern Colorado in what could be a trap game. … Portland State needs to bounce back against North Dakota. … Injuries have derailed the Northern Arizona offense. Idaho: With old-school rival Montana coming to Moscow, the Vandals will be ready. Preps: Besides Dave’s column on the new football facility, we can pass along a feature from Braden Johnson on 8-man football and a state volleyball roundup. Seahawks: The Hawks had a chance to tie or win against the Chargers. Then they dropped that chance. … How are things going in the NFC West? … The offense is pretty conservative. Mariners: The trade became official after we had published yesterday. But it will have roster ramifications. Sounders: Seattle's season ended in the worst way possible. The Sounders lost in a shootout to its archrivals, the Portland Timbers. Published: Nov. 9, 2018, 8:57 a.m.